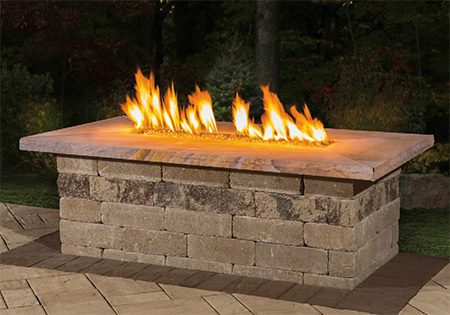 A true fire on water attraction for your backyard retreat. 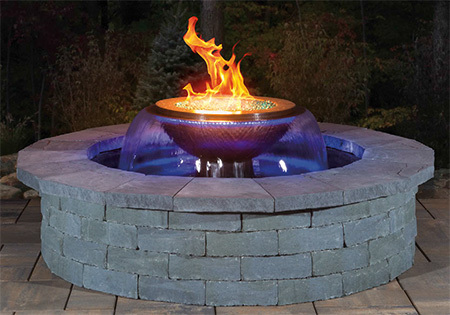 Combining the best of both worlds- the calming sound of a water feature with the lighting and warmth of a firepit. Color: Shown in Ledgestone Wall Bluestone with Ledgestone Cast Stone Cap Bluestone. This product is available as special order only.